(Natural News) Turmeric is one of the most famous superfoods in the entire world. This golden spice has a wide range of benefits from supporting brain health to protecting the heart from disease. Recently, scientists from different research institutes in Sao Paulo, Brazil found another use for this superfood. 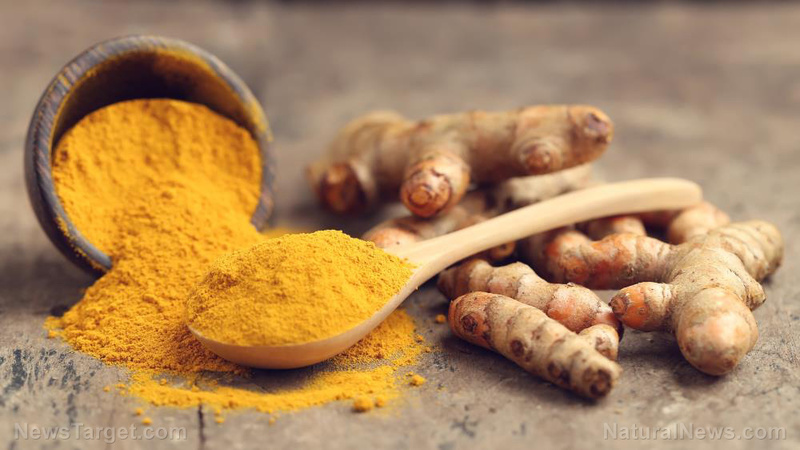 In their study, which was published in the Journal of Medicinal Food, they found that curcumin, the active compound in turmeric, called can treat — and even protect the body from — inflammatory bowel diseases (IBD). IBD is characterized by chronic and recurring inflammation of the gastrointestinal tract. There are two major types of IBD, namely ulcerative colitis and Crohn’s disease. Estimates show that more than 1.5 million Americans suffer from these conditions. The exact cause of IBD remains unclear, but scientists believe that the pathogenesis of this disease involves a combined role of the gut microbiome, barrier function, and the immune system. This debilitating disease has the potential to be life-threatening when left untreated. For most cases of IBD, healthcare professionals recommend taking anti-inflammatory drugs, immune system suppressors, or antibiotics. Unfortunately, these types of medications are associated with adverse side effects. Take the commonly prescribed corticosteroids, for example. This type of anti-inflammatory drug has been shown to cause mood swings, high blood pressure, upset stomach, easy bruising, and blurred vision. Additionally, conventional medications for IBD can be a big financial burden. Previous studies have shown that some plants can be used as natural remedies for IBD. This is because of the presence of bioactive compounds with anti-inflammatory and antioxidant properties. Turmeric is known as a potent anti-inflammatory agent, thanks to compounds called curcuminoids, which include curcumin, bisdemethoxycurcumin, and demethoxycurcumin. Among these, the most abundant and most widely studied is curcumin. In this study, the researchers reviewed different articles from MEDLINE to determine if curcumin can be used to treat patients with IBD. A total of five studies were included in this review. These reports showed that curcumin inhibited the production of pro-inflammatory chemicals like cyclooxygenase-1 (COX-1), tumor necrosis factor-alpha (TNF-alpha), interferon-gamma (IFN-gamma), interleukin-1-beta (IL-1-beta), and nuclear factor kappa-light-chain-enhancer of activated B cells (NF-kappa-B). In addition to this, it was able to increase the production of anti-inflammatory chemicals like interleukin-4 (IL-4) and interleukin-10 (IL-10). Mix turmeric with pepper — Pepper contains a compound called piperine that helps increase the absorption of turmeric by up to 2,000 percent. If you religiously drink a turmeric brew before bed, you can try to pre-activate the spice by mixing it with pepper and letting it simmer on the stove for a few minutes. The resulting paste can be stored in the refrigerator for up to two weeks. Eat turmeric with good fats — Fats are essential for turmeric to make it through the digestive tract without being absorbed prematurely. Some good fats that you can combine with turmeric include avocado and coconut oil. Include purple foods in your diet — Purple foods like berries, grapes, and onions are rich in a flavonoid called quercetin. This plant pigment is able to inhibit an enzyme that deactivates curcumin and also prevents its premature absorption. Other foods that contain quercetin include apples and green tea.